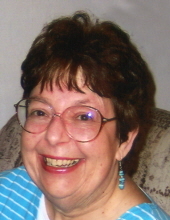 Patricia C. Coughlin, 71, of Waterloo, died Wednesday, November 21, at UnityPoint Health-Allen Hospital. She was born January 1, 1947 in Waterloo, daughter of Robert and Marjorie Tanner Coughlin. Patricia graduated from Columbus High School and Gates Business College. She retired from Penn Mutual Life Insurance Company and later worked for GMAC Mortgage. Preceded in death by: her parents; and a brother, Michael. Services will be planned for after the new year. To send flowers or a remembrance gift to the family of Patricia C. Coughlin, please visit our Tribute Store. "Email Address" would like to share the life celebration of Patricia C. Coughlin. Click on the "link" to go to share a favorite memory or leave a condolence message for the family.